The last post discussed some of the problems when writing a payload for process injection. 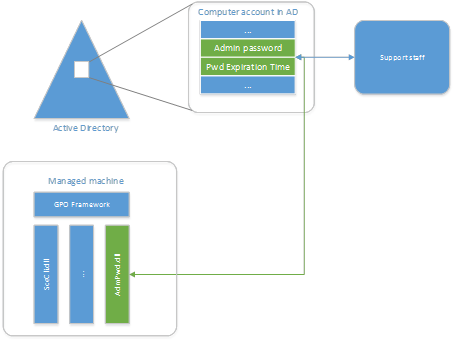 The purpose of this post is to discuss deploying the payload into the memory space of a target process for execution. One can use conventional Win32 API for this task that some of you will already be familiar with, but there’s also the potential to be creative using unconventional approaches. For example, we can use API to perform read and write operations they weren’t originally intended for, that might help evade detection. There are various ways to deploy and execute a payload, but not all are simple to use. Let’s first focus on the conventional API that despite being relatively easy to detect are still popular among threat actors. Below is a screenshot of VMMap from sysinternals showing the types of memory allocated for the system I’ll be working on (Windows 10). Some of this memory has the potential to be used for storage of a payload. Each process has its own virtual address space. 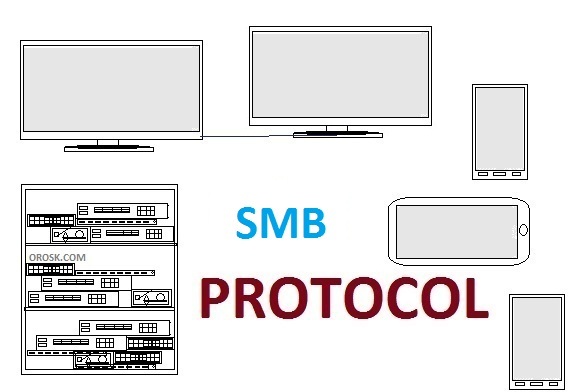 Shared memory exists between processes, but in general, process A should not be able to view the virtual memory of process B without assistance from the Kernel. 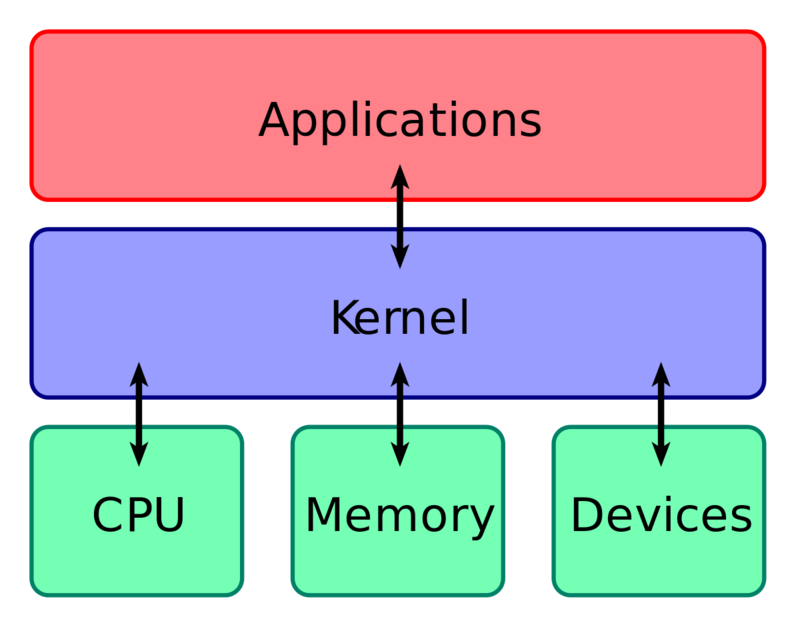 The Kernel can of course see the virtual memory of all processes because it has to perform virtual to physical memory translation. Process A can allocate new virtual memory in the address space of process B using Virtual Memory API that is then handled internally by the Kernel. Some of you may be familiar with the following steps to deploy a payload in virtual memory of another process. Open a target process using OpenProcess or NtOpenProcess. Allocate eXecute-Read-Write (XRW) memory in a target process using VirtualAllocEx or NtAllocateVirtualMemory. Copy a payload to the new memory using WriteProcessMemory or NtWriteVirtualMemory. De-allocate XRW memory in target process using VirtualFreeEx or NtFreeVirtualMemory. Close target process handle with CloseHandle or NtClose. Using the Win32 API. This only shows the allocation of XRW memory and writing the payload to new memory. Alternatively using the Nt/Zw API. Although not shown here, an additional operation to remove Write permissions of the virtual memory might be used. Another way is using section objects. What does Microsoft say about them? 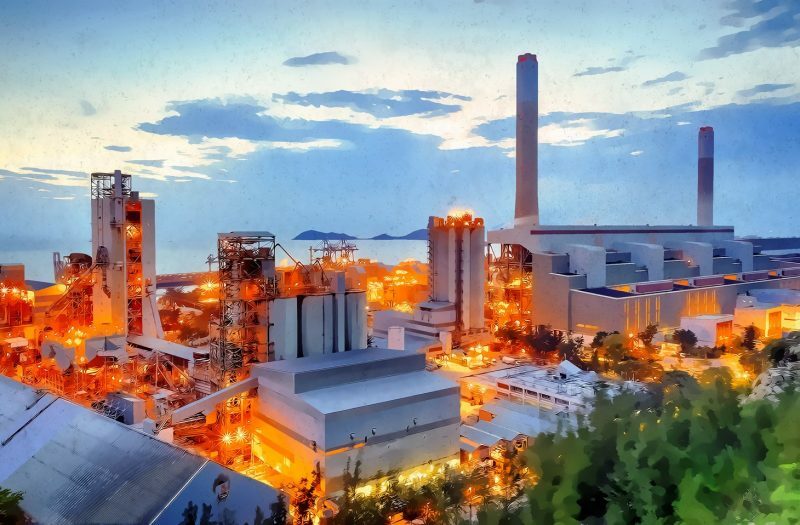 Although the use of these API in a regular application is an indication of something malicious, threat actors will continue to use them for process injection. Create a new section object using NtCreateSection and assign to S.
Map a view of S for attacking process using NtMapViewOfSection and assign to B1. Map a view of S for target process using NtMapViewOfSection and assign to B2. Copy a payload to B1. The Powerloader malware used existing shared objects created by explorer.exe to store a payload, but due to permissions of the object (Read-Write) could not directly execute the code without the use of a Return Oriented Programming (ROP) chain. It’s possible to copy a payload to the memory, but not to execute it without some additional trickery. The following section names were used by PowerLoader for code injection. enSilo demonstrated with PowerLoaderEx using UI shared memory for process execution. Injection on Steroids: Codeless code injection and 0-day techniques provides more details of how it works. It uses the desktop heap for injecting the payload into explorer.exe. Reading a Desktop Heap Overview over at MSDN, we can see there’s already shared memory between processes for the User Interface. Every desktop object has a single desktop heap associated with it. The desktop heap stores certain user interface objects, such as windows, menus, and hooks. When an application requires a user interface object, functions within user32.dll are called to allocate those objects. If an application does not depend on user32.dll, it does not consume desktop heap. Host Intrusion Prevention Systems (HIPS) will regard the use of VirtualAllocEx/WriteProcessMemory as suspicious activity, and this is likely why the authors of PowerLoader used existing section objects. PowerLoader likely inspired the authors behind AtomBombing to use a code cave in a Dynamic-link Library (DLL) for storing a payload and using a ROP chain for execution. AtomBombing uses a combination of GlobalAddAtom, GlobalGetAtomName and NtQueueApcThread to deploy a payload into a target process. The execution is accomplished using a ROP chain and SetThreadContext. What other ways could one deploy a payload without using the standard approach? For the purpose of this post, I decided to examine WM_COPYDATA, but in hindsight, I think COM might be a better line of enquiry. Data can be legitimately shared between GUI processes via the WM_COPYDATA message, but can it be used for process injection?. SendMessage and PostMessage are two such APIs that can be used to write data into a remote process space without explicitly opening the target process and copying data there using Virtual Memory API. 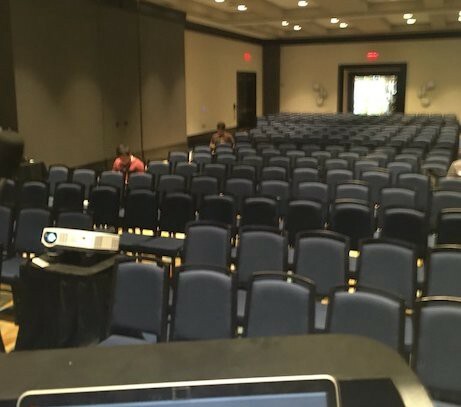 Kernel Attacks through User-Mode Callbacks presented at Blackhat 2011 by Tarjei Mandt, lead me to examine the potential for using the KernelCallbackTable located in the Process Environment Block (PEB) for process injection. This field is initialized to an array of functions when user32.dll is loaded into a GUI process and this is where I initially started looking after learning how window messages are dispatched by the kernel. 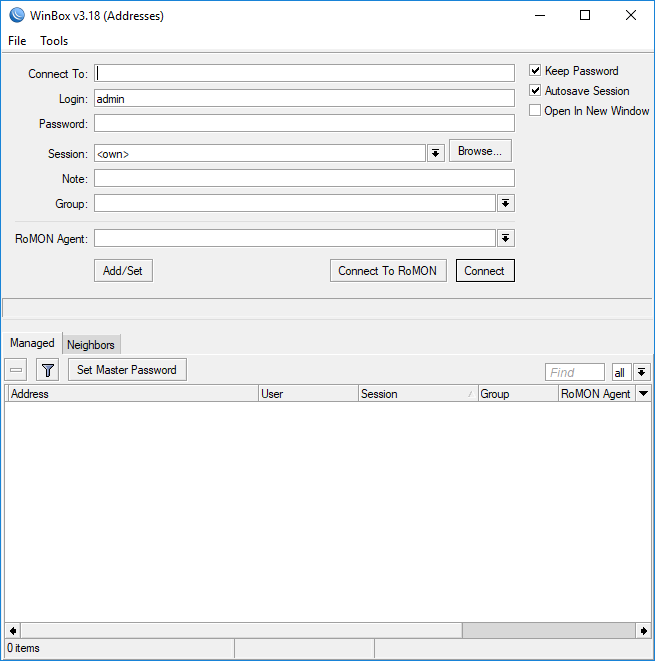 With WinDbg attached to notepad, obtain the address of the PEB. Dumping this in the windows debugger shows the following details. What we’re interested in here is the KernelCallbackTable, so I’ve stripped out most of the fields. If we dump the address 0x00007ffd6afc3070 using the dump symbol command, we see a reference to USER32!apfnDispatch. Closer inspection of USER32!apfnDispatch reveals an array of functions. The first function, USER32!_fnCOPYDATA, is called when process A sends the WM_COPYDATA message to a window belonging to process B. The kernel will dispatch the message, including other parameters to the target window handle, that will be handled by the windows procedure associated with it. Set a breakpoint on this function and continue execution. The following piece of code will send the WM_COPYDATA message to notepad. Compile and run it. Once this code executes, it will attempt to find the window handle of Notepad before sending it the WM_COPYDATA message, and this will trigger our breakpoint in the debugger. 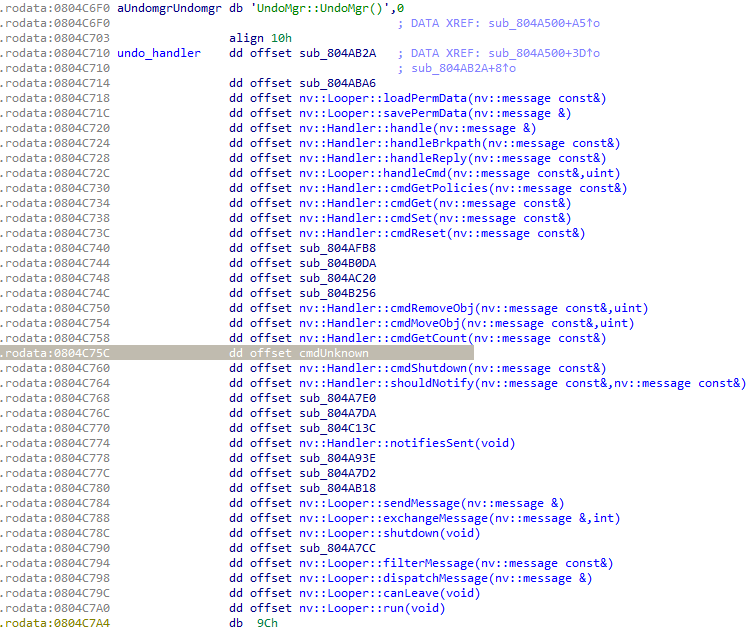 The call stack shows where the call originated from, in this case it’s from KiUserCallbackDispatcherContinue. Based on the calling convention, the arguments are placed in RCX, RDX, R8 and R9. Dumping the contents of first parameter in the RCX register shows some recognizable data sent by the example program. notepad!NPWndProc is obviously the callback procedure associated with the target window receiving WM_COPYDATA. The structure passed to fnCOPYDATA isn’t part of the debugging symbols, but here’s what we’re looking at. Continue to single-step (t) through the code and examine the contents of the registers. We see a pointer to COPYDATASTRUCT is placed in r9. This structure is defined in the debugging symbols, so we can dump it showing the values it contains. 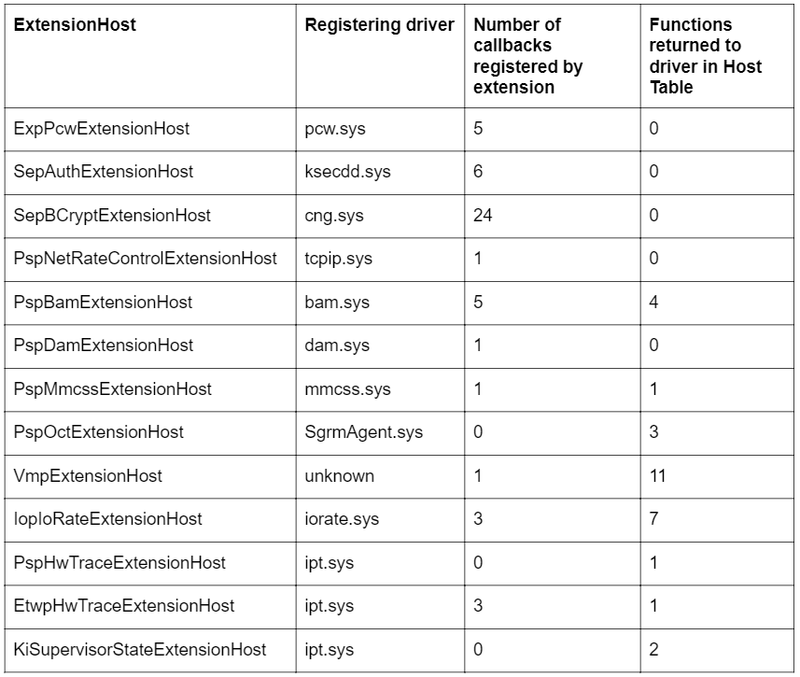 Finally, examine the lpData field that should contain the string we sent from process A. 0000009832caf6f0  "I don't know what to say!." We can see this address belongs to the stack allocated when thread was created. Examining the Thread Information Block (TIB) that is located in the Thread Environment Block (TEB) provides us with the StackBase and StackLimit. OK, we can use WM_COPYDATA to deploy a payload into a target process IF it has a GUI attached to it, but it’s not useful unless we can execute it. Moreover, the stack is a volatile area of memory and therefore unreliable to use as a code cave. To execute it would require locating the exact address and using a ROP chain. By the time the ROP chain is executed, there’s no guarantee the payload will still be intact. So, we probably can’t use WM_COPYDATA on this occasion, but it’s worth remembering there are likely many ways of sharing a payload with another process using legitimate API that are less suspicious than using WriteProcessMemory or NtWriteVirtualMemory. 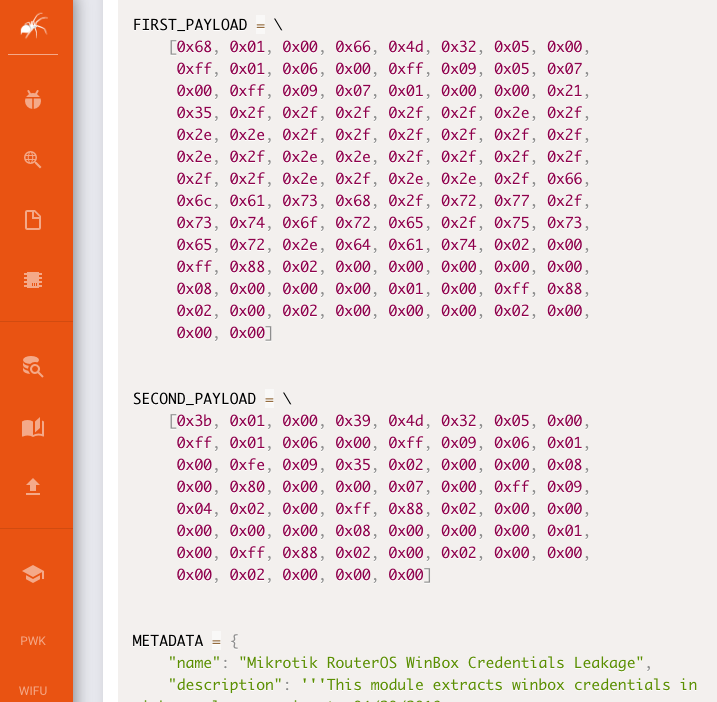 In the case of WM_COPYDATA, one would still need to determine the exact address in stack of payload. Contents of the Thread Environment Block (TEB) can be retrieved via the NtQueryThreadInformation API using the ThreadBasicInformation class. After reading the TebAddress, the StackLimit and StackBase values can be read. In any case, the volatility of the stack means the payload would likely be overwritten before being executed. Avoiding the conventional API used to deploy and execute a payload all increase the difficulty of detection. 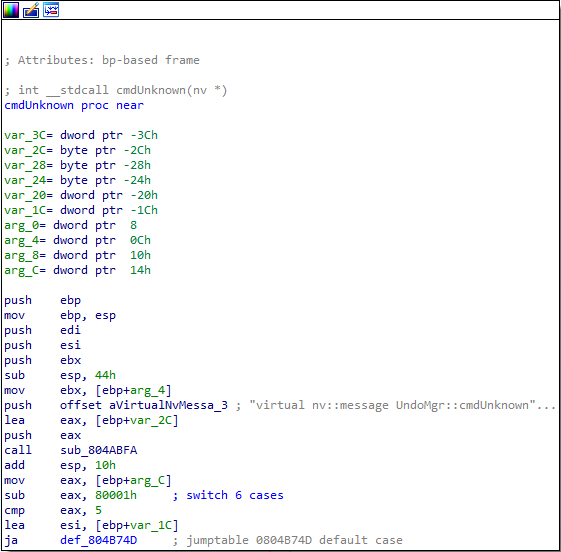 PowerLoader used a code cave in existing section object and a ROP chain for execution. PowerLoaderEx, which is a PoC used the desktop heap, while the AtomBombing PoC uses a code cave in .data section of a DLL. 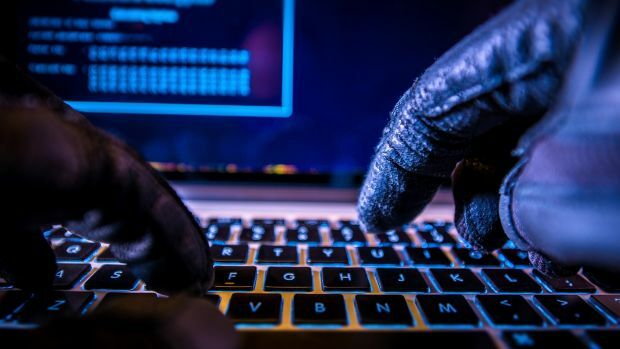 To understand how malware can use and manipulate Windows then, we need to better understand the inner workings of the Windows operating system. In this article, we will examine the inner workings or Windows 32-bit systems so that we can better understand how malware can use the operating system for its malicious purposes. Windows internals could fill several textbooks (and has), so I will attempt to just cover the most important topics and only in a cursory way. I hope to leave you with enough information though, that you can effectively reverse the malware in the following articles. Virtual memory is the idea that instead of software directly accessing the physical memory, the CPU and the operating system create an invisible layer between the software and the physical memory. The OS creates a table that the CPU consults called the page table that directs the process to the location of the physical memory that it should use. Pages are fixed sized chunks of memory. Each entry in the page table references one page of memory. In general, 32 -bit processors use 4k sized pages with some exceptions. Having a page table enables the processor to enforce rules on how memory will be accessed. For instance, page table entries often have flags that determine whether the page can be accessed from a non-privileged mode (user mode). In this way, the operating system’s code can reside inside the process’s address space without concern that it will be accessed by non-privileged processes. This protects the operating system’s sensitive data. This distinction between privileged vs. non-privileged mode becomes kernel (privileged) and non-privileged (user) modes. The kernel reserves 2gb of address space for itself. This address space contains all the kernel code, including the kernel itself and any other kernel components such as device drivers. Paging is the process where memory regions are temporarily flushed to the hard drive when they have not been used recently. The processor tracks the time since a page of memory was last used and the oldest is flushed. Obviously, physical memory is faster and more expensive than space on the hard drive. The windows operating system tracks when a page was last accessed and then uses that information to locate pages that haven’t been accessed in a while. Windows then flushes their content to a file. The contents of the flushed pages can then be discarded and the space used by other information. When the operating system needs to access these flushed pages, a page fault will be generated and then system then does that the information has «paged out» to a file. Then, the operating system will access the page file and pull the information back into memory to be used. 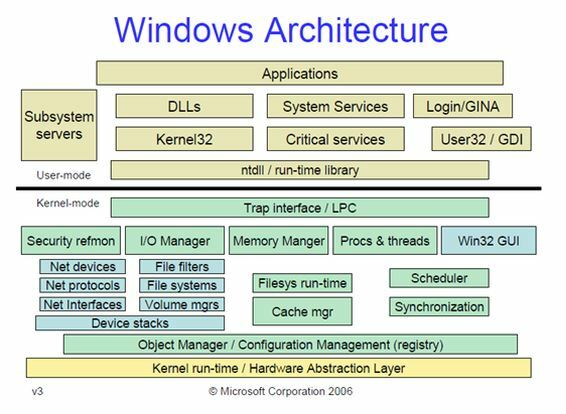 The Windows kernel manages objects using a centralized object manager component. This object manager is responsible for all kernel objects such as sections, files, and device objects, synchronization objects, processes and threads. It ONLY manages kernel objects. A handle is process specific numeric identifier which is an index into the processes private handle table. Each entry in the handle table contains a pointer to the underlying object, which is how the system associates handles with objects. Each handle entry also contains an access mask that determines which types of operations that can be performed on the object using this specific handle. A process is really just an isolated memory address space that is used to run a program. 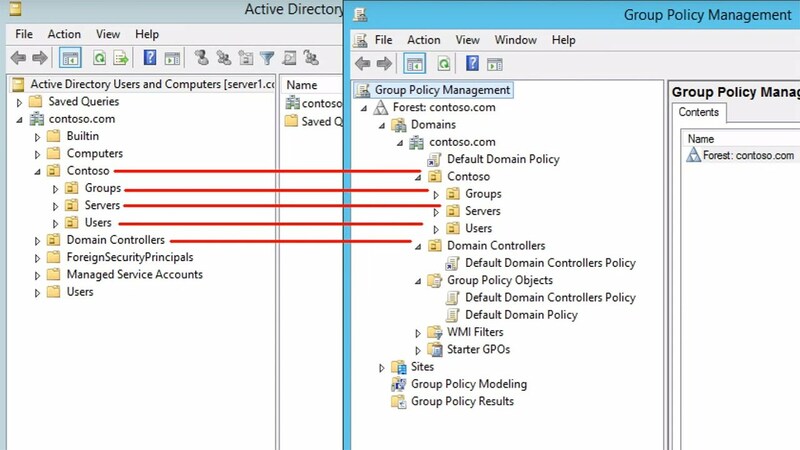 Address spaces are created for every program to make sure that each program runs in its own address space without colliding with other processes. Inside a processes’ address space the system can load code modules, but must have at latest one thread running to do so. The creation of the process object and the new address space is the first step. When a new process calls the Win32 API CreateProcess, the API creates a process object and allocates a new memory address space for the process. LdrpInitialization recursively traverses the primary executable’s import tables and maps them to memory every executable that is required. At this point, control passes into LdrpRunInitializeRoutines, which is an internal NTDLL routine responsible for initializing all statically linked DLL’s currently loaded into the address space. The initialization process consists of a link each DLL’s entry point with the DLL_PROCESS_ATTACH constant. Once all the DLL’s are initialized, LdrpInitialize calls the thread’s real initialization routine, which is the BaseProcessStart function from KERNELL32.DLL. This function in turn calls the executable’s WinMain entry point, at which point the process has completed it’s initialization sequence. 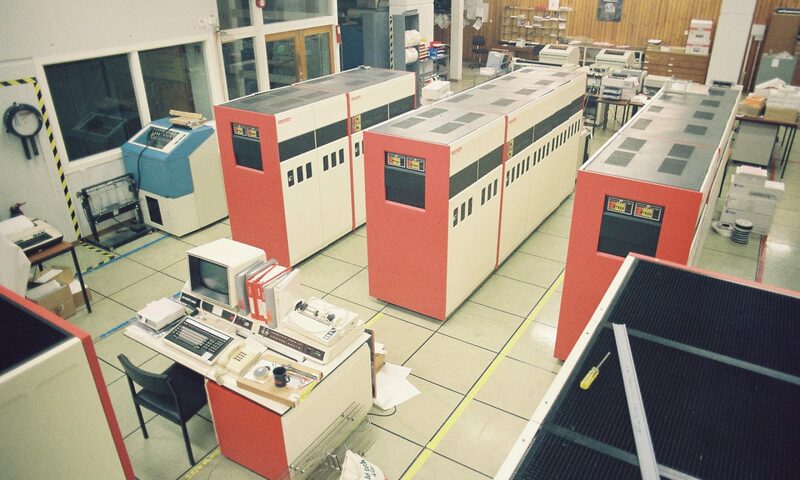 At ant given moment, each processor in the system is running one thread. Instead of continuing to run a single piece of code until it completes, Windows can decide to interrupt a running thread at given given time and switch to execution of another thread. Context switch is the thread interruption. In some cases, threads just give up the CPU on their own and the kernel doesn’t have to interrupt. Every thread is assigned a quantum, which quantifies has long the the thread can run without interruption. Once the quantum expires, the thread is interrupted and other threads are allowed to run. This entire process is transparent to thread. The kernel then stores the state of the CPU registers before suspending and then restores that register state when the thread is resumed. An API is a set of functions that the operating system makes available to application programs for communicating with the OS. The Win32 API is a large set of functions that make up the official low-level programming interface for Windows applications. The MFC is a common interface to the Win32 API. (2) GDI API’s : these include low-level graphics services such a s those for drawing a line, displaying bitmap, etc. (3) USER API’s : these are the higher level GUI-related services such as window management, menus, dialog boxes, user-interface controls. A system call is when a user mode code needs to cal a kernel mode function. This usually happens when an application calls an operating system API. User mode code invokes a special CPU instruction that tells the processor to switch to its privileged mode and call a dispatch routine. This dispatch routine then calls the specific system function requested from user mode. The Windows executable format is a PE (portable Executable). The term «portable» refers to format’s versatility in numerous environments and architectures. Executable files are relocatable. This means that they could be loaded at a different virtual address each time they are loaded. An executable must coexist with other executables that are loaded in the same memory address. Other than the main executable, every program has a certain number of additional executables loaded into its address space regardless of whether it has DLL’s of its own or not. If two excutables attempt to be loaded into the same virtual space, one must be relocated to another virtual space. each executable is module is assigned a base address and if something is already there, it must be relocated. There are never absolute memory addresses in executable headers, those only exist in the code. To make this work, whenever there is a pointer inside the executable header, it is always a relative virtual address (RVA). Think of this as simply an offset. When the file is loaded, it is assigned a virtual address and the loaded calculates real virtual addresses out of RVA’s by adding the modules base address to an RVA. An executable section is divided into individual sections in which the file’s contents are stored. Sections are needed because different areas in the file are treated differently by the memory manager when a module is loaded. This division takes place in the code section (also called text) containing the executable’s code and a data section containing the executable’s data. When loaded, the memory manager sets the access rights on memory pages in the different sections based on their settings in the section header. Individual sections often have different access settings defined in the executable header. The memory manager must apply these access settings when an executable image is loaded. Sections must typically be page aligned when an executable is loaded into memory. It would take extra space on disk to page align sections on disk. Therefore, the PE header has two different kinds of alignment fields, section alignment and file alignment. DLL’s allow a program to be broken into more than one executable file. In this way, overall memory consumption is reduced, executables are not loaded until features they implement are required. Individual components can be replaced or upgraded to modify or improve a certain aspect of the program. DLL’s can dramatically reduce overall system memory consumption because the system can detect that a certain executable has been loaded into more than one address space, then map it into each address space instead of reloading it into a new memory location. DLL’s are different from static libraries (.lib) which linked to the executable. Static Linking is implemented by having each module list the the modules it uses and the functions it calls within each module. This is known as an import table (see IDA Pro tutorial). Run time linking refers to a different process whereby an executable can decide to load another executable in runtime and call a function from that executable. A Portable Executable (PE) file starts with a DOS header. This data structure references two data structures which contain the actual PE header. Imports and Exports are the mechanisms that enable the dynamic linking process of executables. The compiler has no idea of the actual addresses of the imported functions, only in runtime will these addresses be known. To solve this issue, the linker creates a import table that lists all the functions imported by the current module by their names. 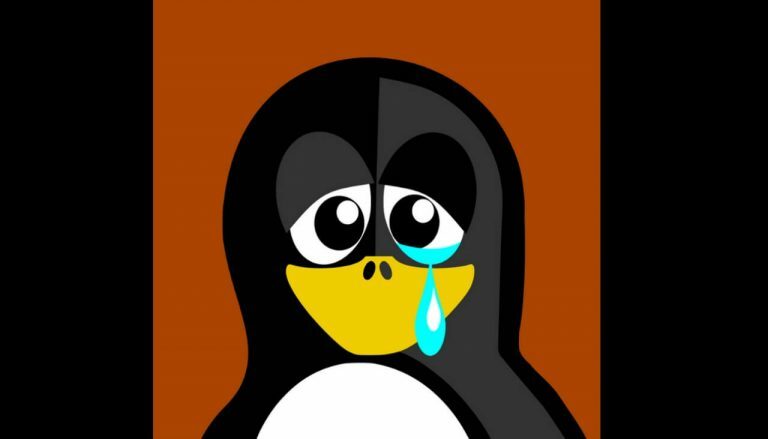 In January 2019, I discovered a privilege escalation vulnerability in default installations of Ubuntu Linux. This was due to a bug in the snapd API, a default service. Any local user could exploit this vulnerability to obtain immediate root access to the system. dirty_sockv2: Sideloads a snap that contains an install-hook that generates a new local user. Both are effective on default installations of Ubuntu. Testing was mostly completed on 18.10, but older verions are vulnerable as well. The snapd team’s response to disclosure was swift and appropriate. Working with them directly was incredibly pleasant, and I am very thankful for their hard work and kindness. Really, this type of interaction makes me feel very good about being an Ubuntu user myself. With access to the API, there are multiple methods to obtain root. The exploits linked above demonstrate two possibilities. Background — What is Snap? In an attempt to simplify packaging applications on Linux systems, various new competing standards are emerging. Canonical, the makers of Ubuntu Linux, are promoting their “Snap” packages. This is a way to roll all application dependencies into a single binary — similar to Windows applications. The Snap ecosystem includes an “app store” where developers can contribute and maintain ready-to-go packages. Management of locally installed snaps and communication with this online store are partially handled by a systemd service called “snapd”. 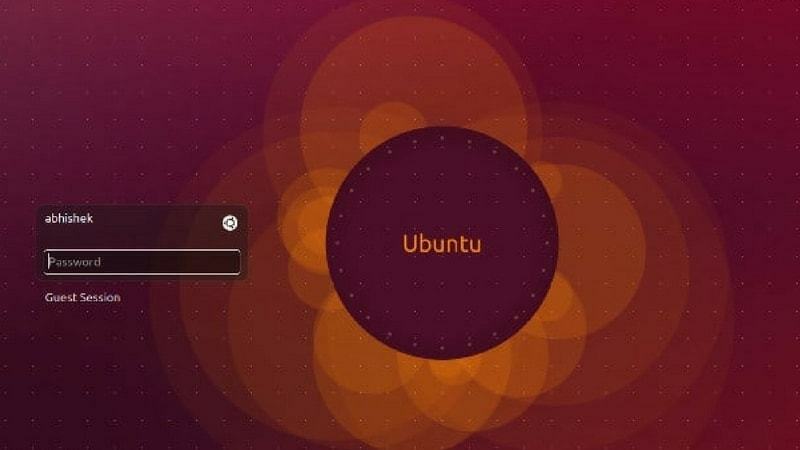 This service is installed automatically in Ubuntu and runs under the context of the “root” user. Snapd is evolving into a vital component of the Ubuntu OS, particularly in the leaner spins like “Snappy Ubuntu Core” for cloud and IoT. The snapd service is described in a systemd service unit file located at /lib/systemd/system/snapd.service. Linux uses a type of UNIX domain socket called “AF_UNIX” which is used to communicate between processes on the same machine. This is in contrast to “AF_INET” and “AF_INET6” sockets, which are used for processes to communicate over a network connection. The lines shown above tell us that two socket files are being created. The ‘0666’ mode is setting the file permissions to read and write for all, which is required to allow any process to connect and communicate with the socket. Interesting. We can use the Linux “nc” tool (as long as it is the BSD flavor) to connect to AF_UNIX sockets like these. The following is an example of connecting to one of these sockets and simply hitting enter. Even more interesting. One of the first things an attacker will do when compromising a machine is to look for hidden services that are running in the context of root. HTTP servers are prime candidates for exploitation, but they are usually found on network sockets. This is enough information now to know that we have a good target for exploitation — a hidden HTTP service that is likely not widely tested as it is not readily apparent using most automated privilege escalation checks. 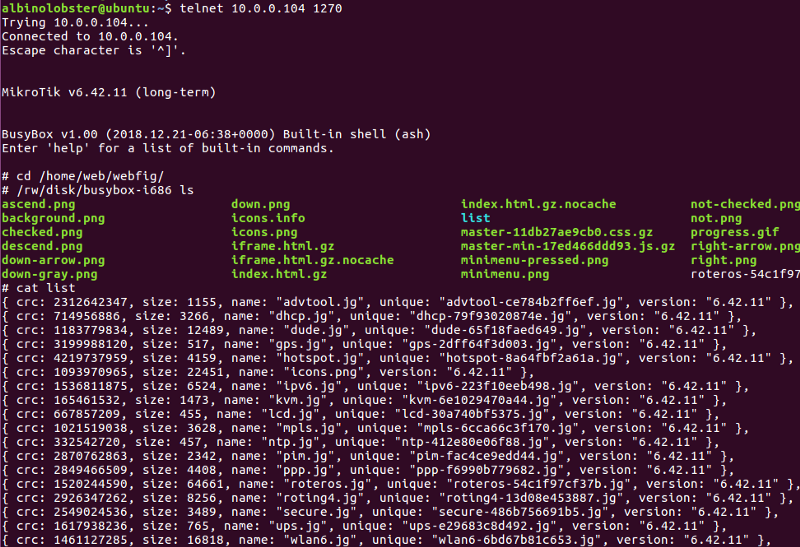 NOTE: Check out my work-in-progress privilege escalation tool uptux that would identify this as interesting. Being an open-source project, we can now move on to static analysis via source code. The developers have put together excellent documentation on this REST API available here. The API function that stands out as highly desirable for exploitation is “POST /v2/create-user”, which is described simply as “Create a local user”. The documentation tells us that this call requires root level access to execute. But how exactly does the daemon determine if the user accessing the API already has root? Reviewing the trail of code brings us to this file (I’ve linked the historically vulnerable version). This is calling one of golang’s standard libraries to gather user information related to the socket connection. Basically, the AF_UNIX socket family has an option to enable receiving of the credentials of the sending process in ancillary data (see man unix from the Linux command line). This is a fairly rock solid way of determining the permissions of the process accessing the API. That looks pretty good. It sees my uid of 1000 and is going to deny me access to the sensitive API functions. Or, at least it would if these variables were called exactly in this state. But they are not. What this last function does is split the string up by the “;” character and then look for anything that starts with “uid=”. As it is iterating through all of the splits, a second occurrence of “uid=” would overwrite the first. Now, instead of an object containing individual properties for things like the uid and pid, we have a single string variable with everything concatenated together. This string contains four unique elements. The second element “uid=1000” is what is currently controlling permissions. If we imagine the function splitting this string up by “;” and iterating through, we see that there are two sections that (if containing the string “uid=”) could potentially overwrite the first “uid=”, if only we could influence them. The first (“socket=/run/snapd.socket”) is the local “network address” of the listening socket — the file path the service is defined to bind to. We do not have permissions to modify snapd to run on another socket name, so it seems unlikely that we can modify this. But what is that “@” sign at the end of the string? Where did this come from? The variable name “remoteAddr” is a good hint. Spending a bit more time in the debugger, we can see that a golang standard library (net.go) is returning both a local network address AND a remote address. You can see these output in the debugging session below as “laddr” and “raddr”. The remote address is set to that mysterious “@” sign. Further reading the man unix help pages provides information on what is called the “abstract namespace”. This is used to bind sockets which are independent of the filesystem. Sockets in the abstract namespace begin with a null-byte character, which is often displayed as “@” in terminal output. Instead of relying on the abstract socket namespace leveraged by netcat, we can create our own socket bound to a file name that we control. This should allow us to affect the final portion of that string variable that we want to modify, which will land in the “raddr” variable shown above. Using some simple python code, we can create a file name that has the string “;uid=0;” somewhere inside it, bind to that file as a socket, and use it to initiate a connection back to the snapd API. There we go — we have injected a false uid of 0, the root user, which will be at the last iteration and overwrite the actual uid. This will give us access to the protected functions of the API. This is fairly reliable and seems safe to execute. You can probably stop reading here and go get root. dirty_sockv2 instead uses the ‘POST /v2/snaps’ API to sideload a snap containing a bash script that will add a local user. This works on systems that do not have the SSH service running. It also works on newer Ubuntu versions with no Internet connection at all. HOWEVER, sideloading does require some core snap pieces to be there. If they are not there, this exploit may trigger an update of the snapd service. My testing shows that this will still work, but it will only work ONCE in this scenario. Snaps themselves run in sandboxes and require digital signatures matching public keys that machines already trust. However, it is possible to lower these restrictions by indicating that a snap is in development (called “devmode”). This will give the snap access to the host Operating System just as any other application would have. Additionally, snaps have something called “hooks”. One such hook, the “install hook” is run at the time of snap installation and can be a simple shell script. If the snap is configured in “devmode”, then this hook will be run in the context of root. That encrypted string is simply the text dirty_sock created with Python’s crypt.crypt() function. The commands below show the process of creating this snap in detail. This is all done from a development machine, not the target. One the snap is created, it is converted to base64 text to be included in the full python exploit. cat > snap/hooks/install << "EOF"
cat > snap/snapcraft.yaml << "EOF"
If you don’t trust the blob I’ve put into the exploit, you can manually create your own with the method above. That base64-encoded text can go into the global variable “TROJAN_SNAP” at the beginning of the dirty_sock.py exploit. Patch your system! The snapd team fixed this right away after my disclosure. Chris Moberly (@init_string) from The Missing Link.